Dr. Serrão and his caring team stand out in the Central Florida area for providing patients and the medical community with the latest advances and technology to improve a woman’s appearance and health. Yes, a compassionate, friendly and skilled doctor is essential, but when you combine that with a caring and nurturing staff, the result is a fantastic atmosphere for patients. That is what makes us different – we truly care for you! Every team member in our practice and wellness spa is a fully licensed and certified professional who meets Serrão Rejuvenation Center’s rigorous standards for training, experience and excellence. We continue to excel in the specialty of Cosmetic-Plastic Gynecology, specializing in Cosmetic Surgery of the Female and Anti-Aging Medicine with a commitment to improve our patients’ well being, to empower women with choices, and to offer solutions for what women want. Our team is truly dedicated to you and we are passionate in providing services that will enhance your natural beauty, both inside and out! The team at Serrão Rejuvenation Center are here to assist you reach your goals as well as look and feel your best. Our friendly staff will make sure you are comfortable, informed and relaxed. They are highly trained with over 20 years of experience and ensure the highest quality of care. At Serrão Rejuvenation Center your safety is our priority. We offer non-surgical and surgical solutions for the most common and troublesome problems facing today’s woman. Dr. Serrão performs all of the aesthetic procedures, including laser treatments and injectables, to ensure patient safety and satisfaction. You deserve the best, and we are here to provide that care for you, offering the most advanced technologies and concepts to provide you with the outcome that you desire and one that we will be proud of. These new concepts have also allowed us to perform cosmetic surgeries and procedures in a safer manner with less downtime for our patients. We offer what women want! Dr. John Serrão is proud to be the first physician in Central Florida who has dedicated his practice to the unique needs of today’s woman. 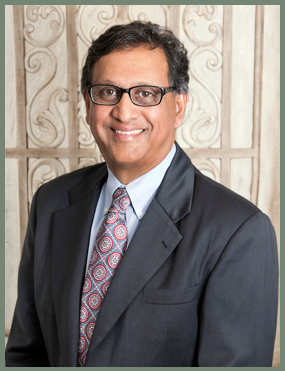 As a Board Certified Fellow of the American College of Obstetrics & Gynecology, he has over twenty-five years of experience in women’s health specializing in gynecology, cosmetic-plastic gynecology, cosmetic surgery of the female and anti-aging medicine. He takes a conservative approach in caring for the ‘whole woman’ and that approach has lead to consecutive years of award winning care. As a Fellow of the American Academy of Cosmetic Surgery and the American Academy of Anti-Aging Medicine, he has helped women from around the world feel feminine again. Together, we have over 275 years of experience!